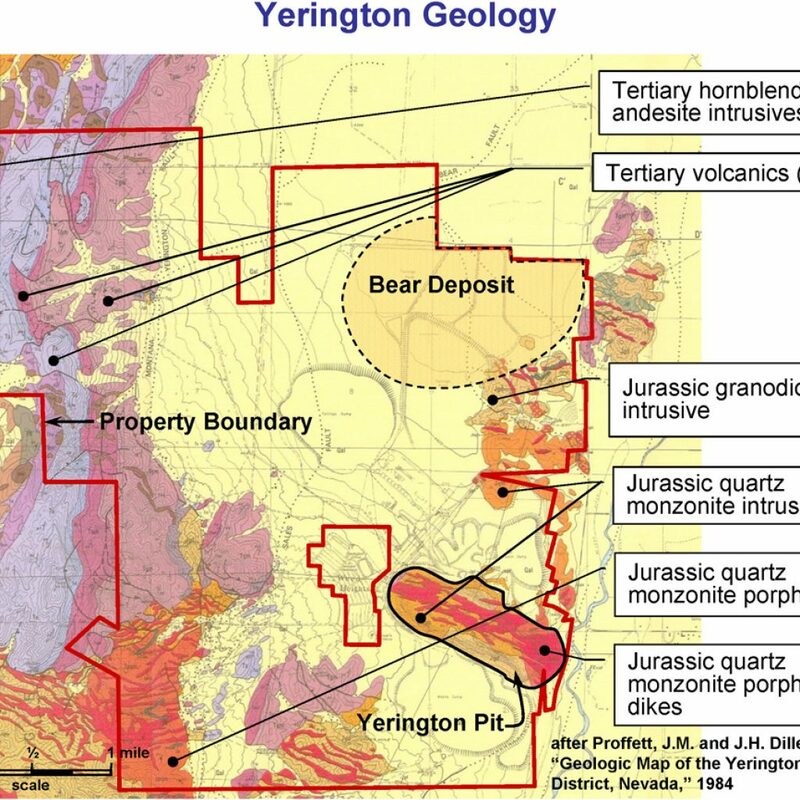 Yerington Deposit – Quaterra Resources Inc. 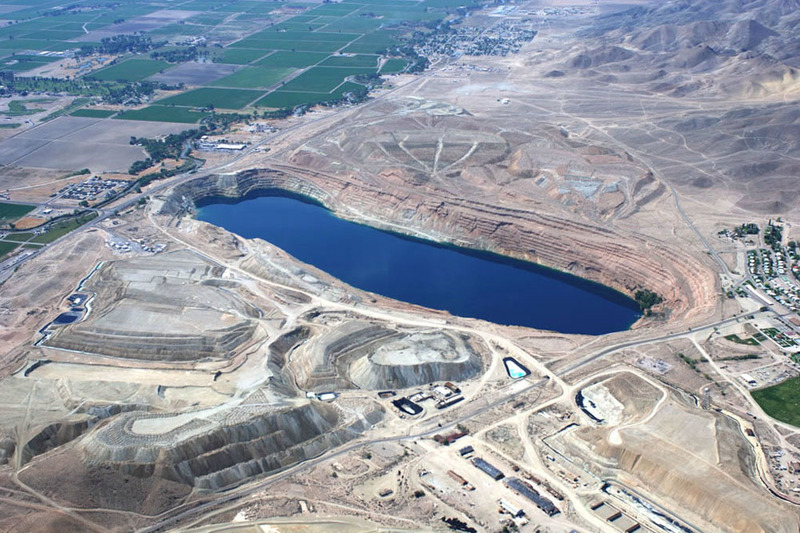 The Yerington deposit includes 11 square miles of patented claims and fee mineral properties centered on the former Anaconda open pit copper mine. 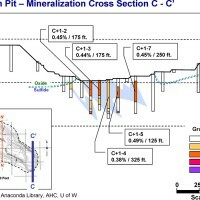 A NI43-101 resource was completed in 2012 validating an historic copper resource and demonstrating expansion potential. 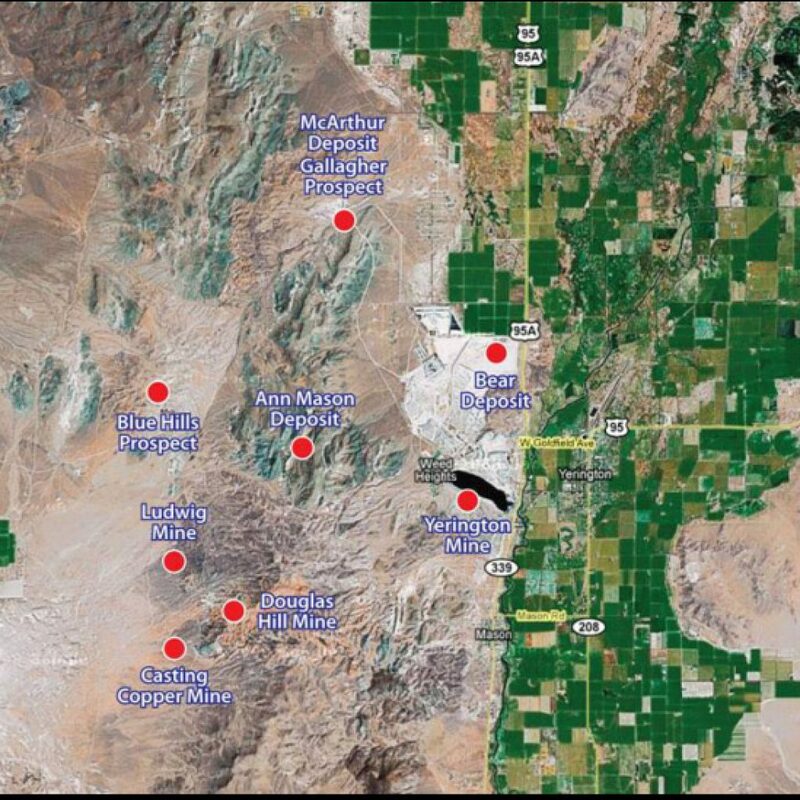 This property, the Bear Deposit and the MacArthur Copper Project, provides the Company with a dominant land position in the center of a prolific and expanding copper camp. 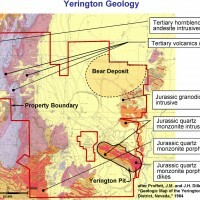 The Yerington deposit is a large partially mined porphyry copper system. 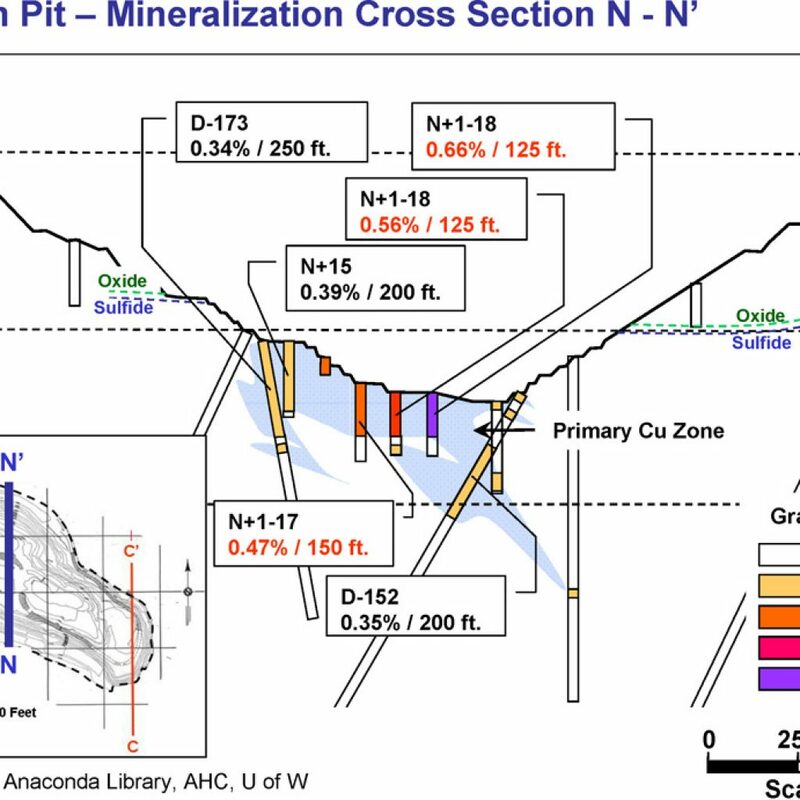 Copper mineralization occurs as primary sulfides below the Yerington pit and in the Bear deposit and as acid soluble copper oxides and chalcocite around the pit margins. 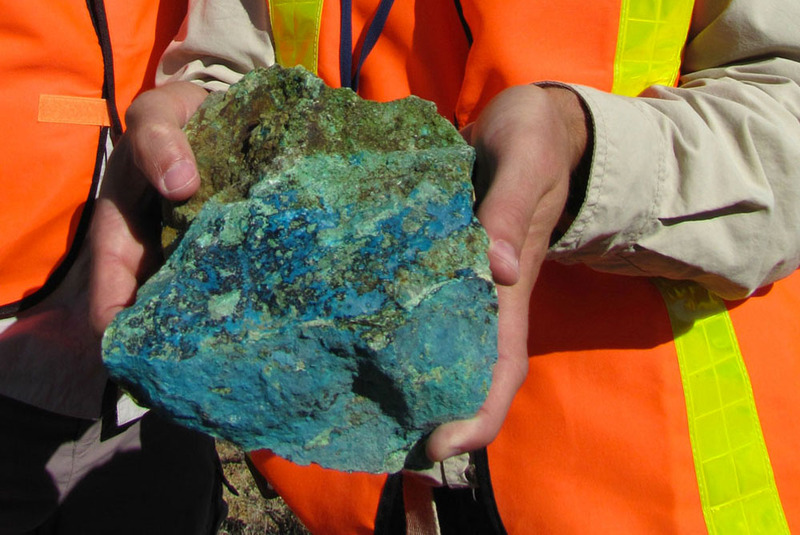 The property has the potential to produce significantly more copper than mined by previous operations. 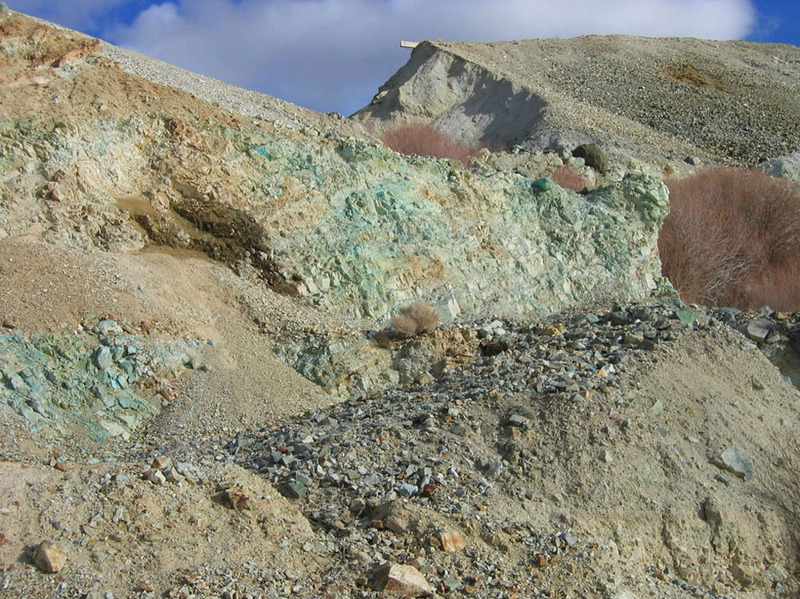 With the possible integration of the Yerington deposit, the MacArthur oxide deposit and the Bear deposit, the Yerington Copper Project presents the opportunity to return the district to prominence as one of Nevada’s major copper producers. Singatse Peak Services (SPS) owns the former Anaconda mine site at Yerington. 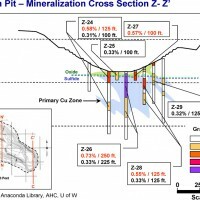 After a technical review of all available historical information, SPS commenced exploration on the Yerington deposit with a drilling program comprising 21,856 feet in 42 holes during the last half of 2011. 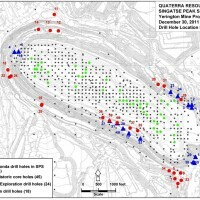 Historical data from 558 Anaconda holes were incorporated with the drilling results to support a NI 43-101 compliant resource estimate and technical report by Tetra Tech, Inc. in February 2012. 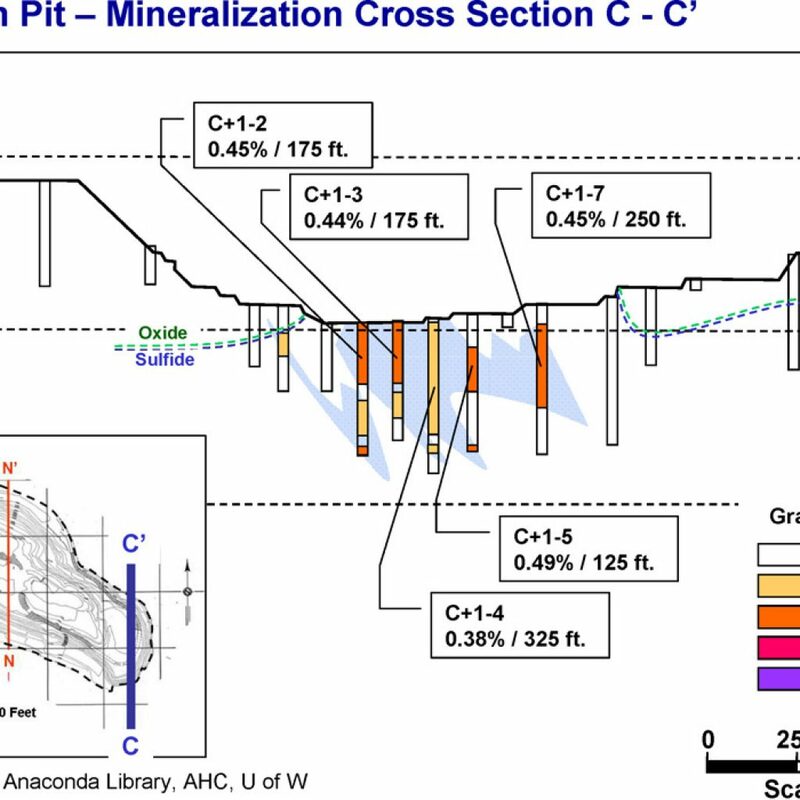 Tetra Tech completed an updated NI 43-101-compliant resource estimate at Yerington that was released on November 20, 2013 and titled ” NI 43-101 Technical Report Mineral Resource Update, Yerington Copper Project, Lyon County, Nevada”. The total measured and indicated contained pounds of copper increased by about 26% to 751 million pounds of copper, reflecting an 11% increase in grade to 0.29% TCu and a 14% increase in tons to 128 million. These results supersede Tetra Tech’s previous resource estimate completed in the first quarter of 2012 (for a breakout of the individual resources in the measured and indicated categories please see the table below). The current estimate has been completed to include newly digitized historic data from 232 drill holes not included in the 2012 estimate. 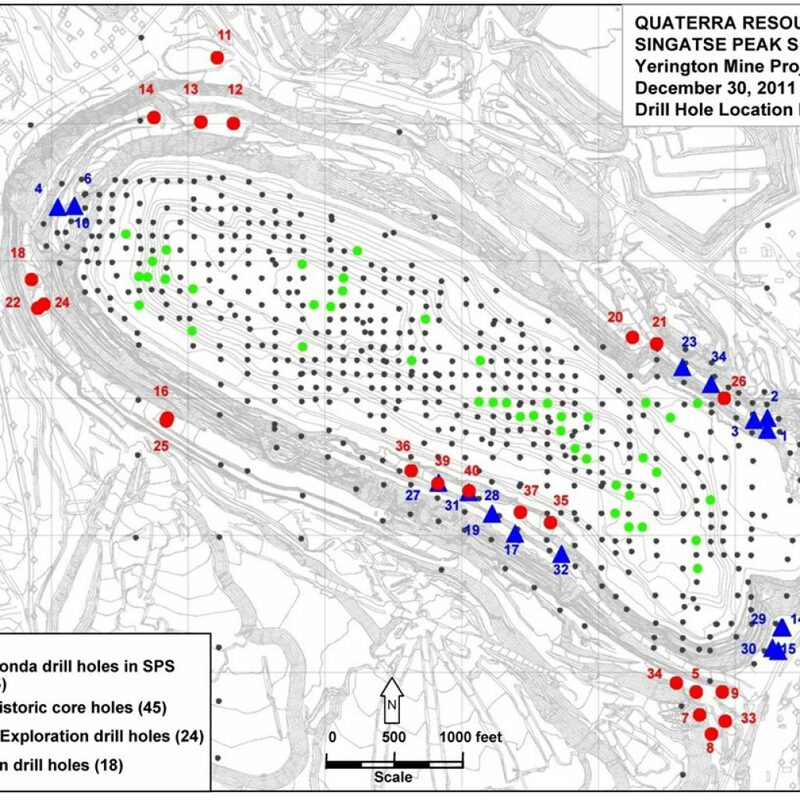 The 232 additional holes were well distributed throughout the deposit and provided useful infill and extensional information to the previously used data, allowing upgrades in classification, improved grade estimation and a new resource definition. The current resource estimate now includes data from over 800 boreholes. 1Independent qualified person, Dr. Rex Bryan, prepared and supervised the preparation of these mineral resources. 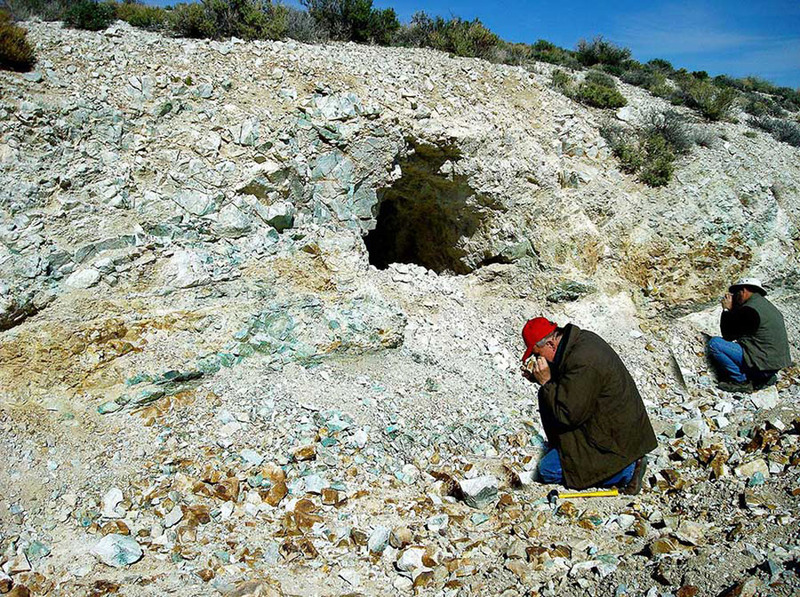 The Yerington Copper Project has potential for significant additional resources. 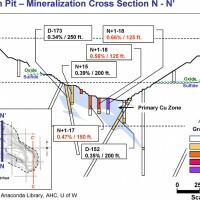 Historic and current drilling data indicate that limits to copper mineralization at the Yerington Mine have not yet been established, either horizontally or vertically. 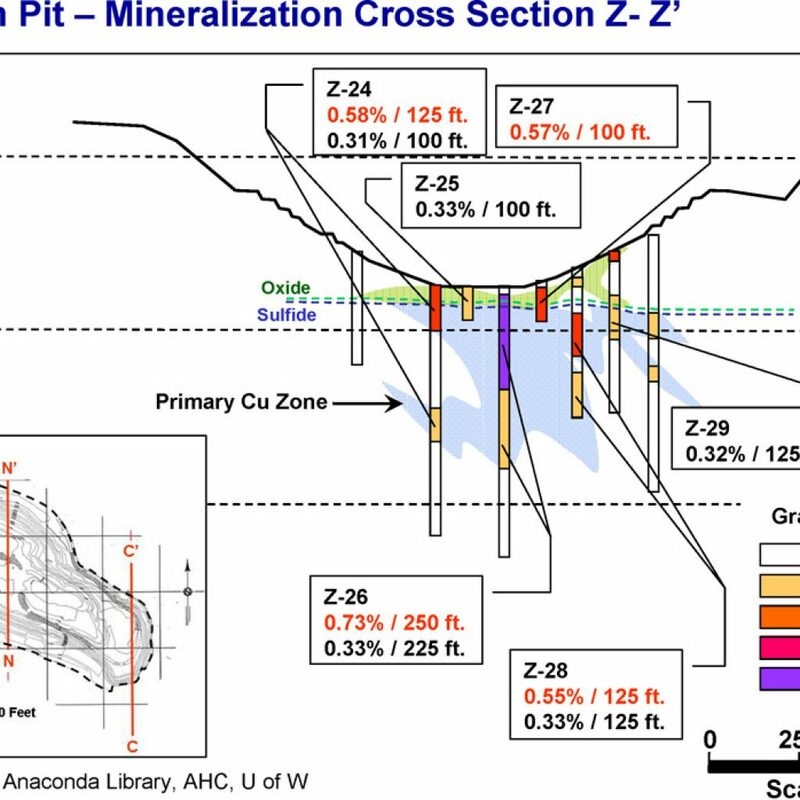 Additional exploration and in-fill drilling is is required to expand and upgrade the copper resources in the pit area to below the 3,000 feet level where only four historic holes have actually explored the deep vertical projection of mineralization. 3D rendering of measured, indicated and inferred elevation.